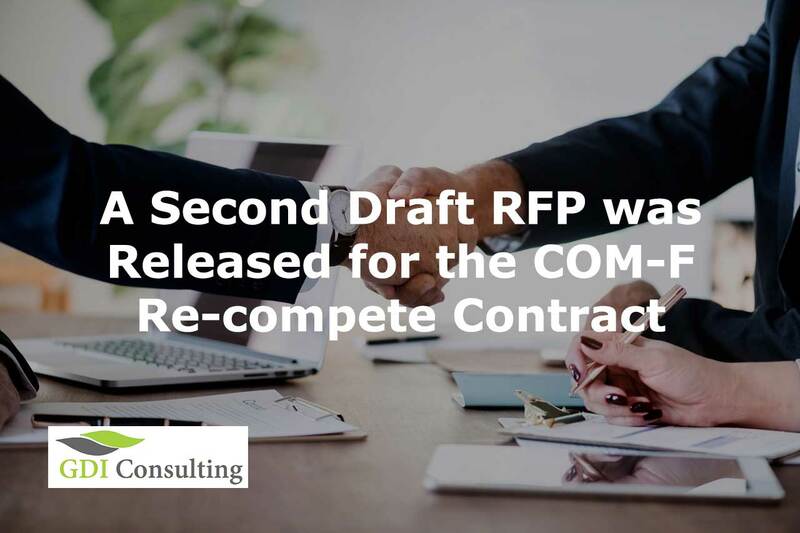 Department of the Air Force, the office of Air Mobility Command released a second Draft Request for Proposal (RFP) regarding the contract opportunity Communication Operation & Maintenance Function (COM-F) III. The Draft solicitation with the number FA4452-18-R-0037 was issued on Feb 19, 2019, in the official website of Federal Business Opportunities. The agency has provided enough information for interested contractors, although the main 18 Attachments which are anticipated to be released with the official RFP. This is an FFP, CPFF contract type, for set-aside Service-Disabled Veteran-Owned Small Business with a 5-year total duration. In addition, it is a re-compete of a current COM-F III contract; FA4452-15-C-0001 awarded to Enhanced Veterans Solutions. The AMC office is responsible to the National Command Authority (NCA) through the Joint Chiefs of Staff (JCS) and the United States Transportation Command (USTRANSCOM) for the planning and execution of global airlift and aerial refueling missions during peace, crisis, and war. It is also one of the most important supporters of the United States military forces providing them with valuable assets and expertise. The production environment is the software, hardware, and appliances, placed into operation for use by end users. Besides, it includes virtual machines and virtual infrastructure, as well as all sub-systems, modules, and applications within the Systems and all future modifications, modernizations, and projects of the Systems. The Final RFP was released on Mar 19, 2019. According to that notice, the anticipated ordering period for the Communications, Operations, and Maintenance Functions (COM-F) is scheduled on 27 January of 2020, with Task Orders phase in scheduled to begin 01 Mar 2020, and Task Order performance scheduled to begin on 01 May of the same year. For further information, interested contractors are encouraged to submit all questions to the Contracting Officer and Contracting Specialist using the Q&A Matrix, Attachment 6.